Well, this has been the busiest July in the history of Bailey’s Chimney C&R. The superior service we provide, at the competitive prices we offer, seems to appeal to folks all over Northern NM. We’ve had lots of great days full of work in so many beautiful places–Los Alamos, Abiquiu, Penasco, Taos, and Santa Fe. My favorite job of the month so far was the wood stove installation we did for Helen Lopez in Llano San Juan, at the foot of the Picuris peaks. It was a great day’s work for a few reasons. Firstly, when we removed the old chimney we discovered that mice had been nesting around the existing chimney for many years and had caused an extreme fire hazard. Around the new chimney we installed a two-layer steel sheild to keep mice from getting near the chimney. Preventing somebody’s house from burning down makes for a high level of job satisfaction. Also, the view from the roof was unbelievably gorgeous. And last but not least, our customers were delightful and we had lemonade and snacks after work with them at their picnic table next to the stream. Tomorrow we have an exciting wood stove installation in Carson, NM. 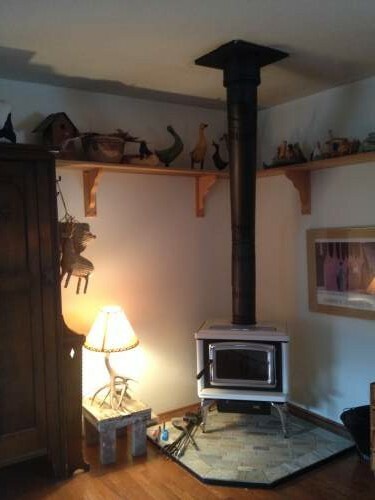 A lucky customer took advantage of a used package we sometimes can offer: a high quality used wood stove and top-of the line used chimney pipe all together, installed, for an amazing price. If you are interested in a package like this, let us know. 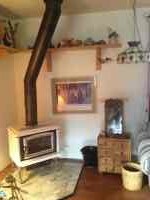 They are not always available, but sometimes we come across great quality pre-owned used wood stoves and chimney that we can offer to someone who is interested in heating their home with wood. Cleaning chimneys and dryer vents in July can be a bit hot, and we sweat a lot. But it keeps us fit, and on top of our game. We are so grateful to all of our customers; its clear that they are the smartest consumers of chimney services in New Mexico! 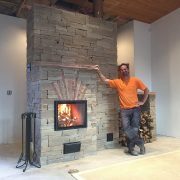 http://www.baileyschimney.com/wp-content/uploads/2017/09/Chimney_service_Taos_Santa_Fe.png 0 0 jheveron http://www.baileyschimney.com/wp-content/uploads/2017/09/Chimney_service_Taos_Santa_Fe.png jheveron2013-07-23 00:51:142016-10-21 17:53:32July!